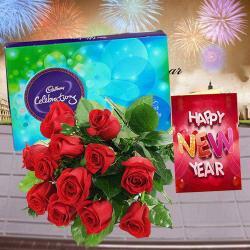 Product Consists : Bouquet of 12 Red Roses with some green fillers in a cellephone wrapping with a matching bow along with New Year Greeting Card. 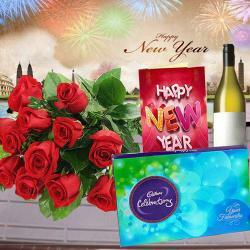 With excellent fragrance of romantic red roses and warmth of your love enwrapped in greeting Card this combo is perfect to woo your sweet heart on New Year. 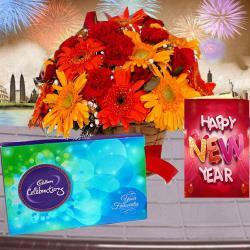 If you truly wish to make the New Year celebration of your loved ones special and memorable then this hamper is perfect to strike the right cord of your loved ones heart. 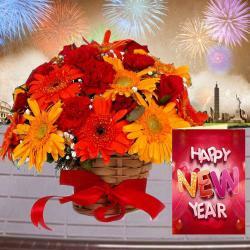 So go ahead and book your order now. It is bound to show them how special position they hold in your heart. 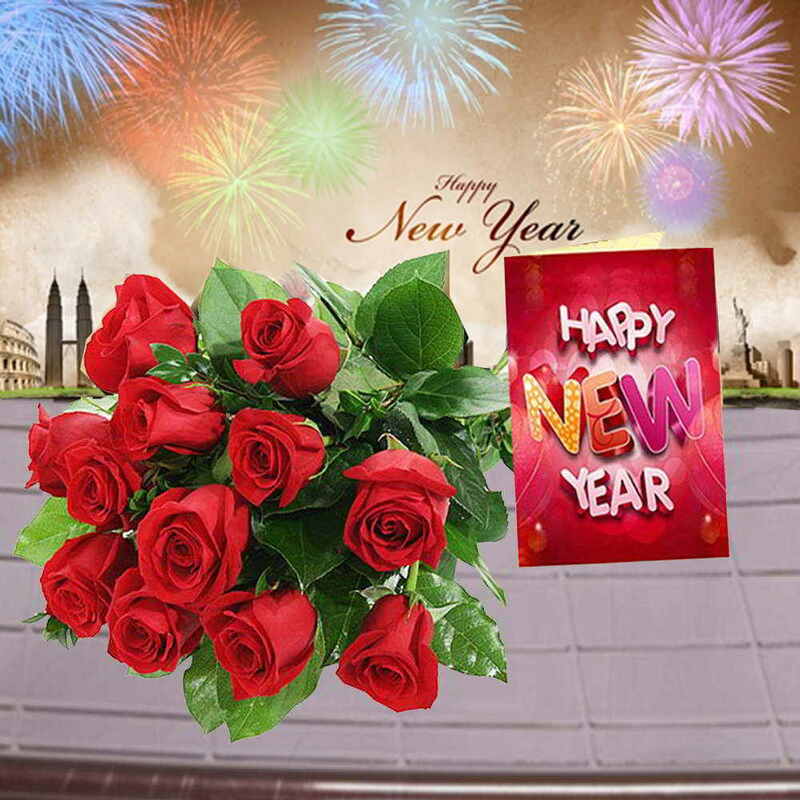 Product Consists : Bouquet of 12 Red Roses with some green fillers in a cellephone wrapping with a matching bow along with New Year Greeting Card.